So, you know that scene in Forrest Gump where Forrest starts running for hundreds of miles, day after day, through rain and poop shoes and mud happy faces on towels? And a huge crowed of people is running with him? And then out of nowhere he stops abruptly, turns around, then says, “I’m pretty tired, I think I’ll go home now…” ? Well friends…. I’m pretty tired, I think I’ll go home now. After much deliberation, I have decided to take a break from blogging. For months now, I have been growing less and less enthused about contributing to my blog and more and more, it has felt like a chore. Like something I had to do every night, and that’s just no fun. This year has been huge for Love+Cupcakes. In January I had about 87 subscribers and somehow that grew to almost 1500 in just seven months! My page views went from about 600 at the beginning of the year to over 25,000 in June! That’s an incredible amount of growth in such a short period of time. And for a while, that success and that knowledge of having viewers (maybe even fans?) voluntarily reading through my blog fueled me. It more than fueled me, it made me down right giddy! It made me want to deliver more…more recipes…more crafts…more DIY…more Diamond! JUST PLAIN MORE. But sadly, I don’t think I have more in me right now. I’m overwhelmed. As much as I try to make this blog unique to me, I’m heavily influenced by what other blogs and bloggers are doing out there and I find myself trying to keep up. Yes, you can argue that that’s my fault. I certainly don’t have to try and keep up, I can just do my own thing, right?…well, that’s the problem. I just don’t know what “my own thing” is anymore and until I figure that out, I need to take a break. It’s not that Love+Cupcakes isn’t a true reflection of me. It is. It’s more that I feel like I’m just going through the motions now…I don’t know why I share the things I share anymore…except that I feel an obligation to this virtual space that I’ve created. It’s taken the fun out of being creative for me. For example, I love baking and cooking, but it’s been a while since I baked just for the sake of baking. Just for that cathartic ritual that I love so much. Lately, I’ve been baking because I have to bake…because the blog wants me to bake and I want the blog to be happy. I’ve had design and art projects on hold for months because between a full-time job, home life with my husband and dog, and working out (the three things that are non-negotiable in my life), what little time I have left each day belongs to my blog. And while, I used to be happy to devote every last second to this blog, right now, I’m not. I’m a firm believer in loving what you do and doing what you love. I don’t think this is the end of Love+Cupcakes forever, but I do want to take the rest of the summer to get away from the computer and this virtual reality and spend more time living actual reality. I’m going to reconnect with my cookbooks and leave my SLR packed away. I’m going to eat at nice restaurants and keep my iphone in my purse (if I can stand it, this might be my hardest hurdle). I’m going to enjoy my summer vacations void of instagram and twitter. There’s a real world out there friends! With people, actual people. Maybe instead of sharing a pie online, I’ll share a pie with a friend…in person! Maybe instead of sharing inspiration boards of expensive items that nobody really needs, I can gather unused items from my own home and give them so someone in need. Maybe instead of constantly checking the stats on my blog hoping that each time the numbers are better than the last, I’ll start checking in with friends and family just to say hello. I don’t mean to rant so I’m sorry if it’s coming off like one. I’m just ready for a change. I hope with all my heart that I can come back to continue writing Love+Cupcakes in a few weeks (or months). I really do love this little blog. It has brought me tons of happiness and confidence and once upon a time it was a place where I could do and be anyway I wanted. I want to get back to that place so I can share things that I’m really proud of. I’m still running my shop, Mr. & Mrs. P, so I may share updates here and there. Heck, I may even feel compelled to write a blog post once in a while, but until I’m happy to invest myself wholeheartedly, I’ll be on hiatus until at least the fall. I hope ya’ll don’t hate me for abandoning you. I just need a little me time and I hope you understand. Thank you for the support you’ve given this little blog so far, I hope I can come back and make it better than ever. 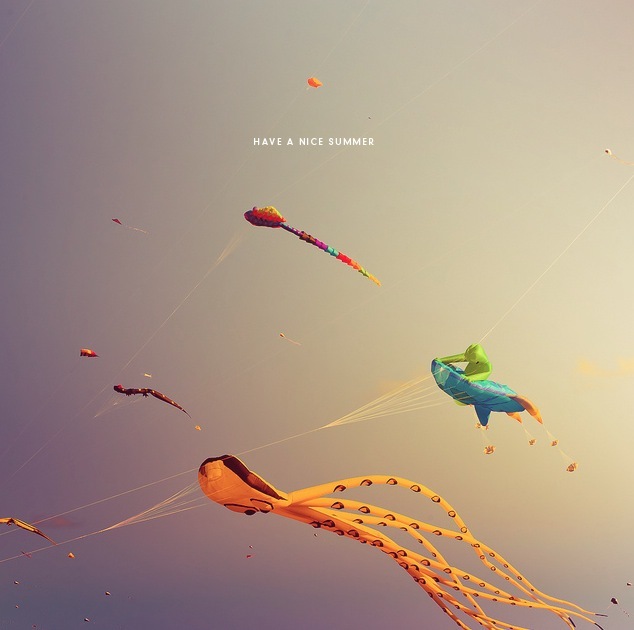 HAVE A NICE SUMMER! As a “until we meet again” parting gift, I’d like to give 8 of you awesome readers a $50 gift card towards a new pair of TOMS Eyewear. I’ll be doing a little of staying in touch on Facebook and Instagram when I can, so to enter, LIKE Love+Cupcakes on FB or follow me on Instagram (@loveandcupcakesblog), or simply leave a comment below and I’ll choose 8 lucky winners at random. You may remember that I posted about TOMS Eyewear here a few weeks ago, but for those of you who don’t know…for every pair of sunglasses purchased, TOMS will help give sight to a person in need via prescription glasses, surgery or other medical treatments….and I think that is just the coolest thing ever! There is one catch! The gift cards EXPIRE ON 7/25/12 so please only enter if you think you’ll make a purchase by then! Winners will be chosen on Sunday, July 15th at 9pm PST! Congratulations to our winners: 1. On The Home Front and Beyond, 2. Jenny Gershon, 3. Jennifer M., 4. Nikki, 5. Shara, 6. BlubuttonPress, 7. itsgenevieve, and 8. Lucy K.!!!! Have a good summer and refresh yourself. Followed on Facebook and Instagram. Those Tom’s sunglasses are awesome! Take care of yourself and enjoy your summer! I hope your break is exactly what you need to recharge! It is easy to get overwhelmed. Enjoy the loves around you. I love what TOMS offer. The shoes, the shades! All for a good cause. My fingers are crossed to win. Enjoy your summer! Hope to hear from you again! Awwww! I just found your blog! I look forward to you starting back up. I know how consuming blogging can be. Love your blog by the way! It sounds like you are making the right choice and I applaud you for that. Hopefully when you return you can figure out how to be true to yourself and not what you perceive your readers want you to be. I think the hardest thing about blogging is to realize that people are drawn to you because of your voice and your work, I think that’s why people subscribe, not because of the products you showcase. Have a wonderfully relaxing summer and hopefully we’ll be hearing from you again soon! I’m glad you’re taking a break if you need it! Have a great summer, and thanks for the awesome giveaway! Awesome! I liked you on FB as sarah linette. I am now following you on Instagram (@celeste_w) … thanks for the chance! Oh my gosh! This is amazing! I just got my first pair of TOMS in the mail this week and they were too small but everyone said they’d stretch… They didn’t stretch and now TOMS won’t take them back bc they’ve been worn. I am heartbroken. I know you said this is only for glasses, but it would still be great to get something from them and help out at the same time!